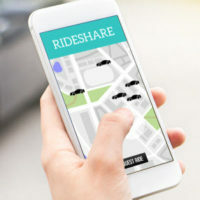 It can hardly be argued that rideshare companies like Uber have severely disrupted the taxicab industry, and that technology companies like Alphabet, the parent of Google, have done the same to, well, our daily lives. As part of their further technological development, both Uber and Google have been testing autonomous vehicles, which operate without a driver, much in the same way as people movers in public places like airports. Unfortunately as is the case with non-autonomous vehicles, autonomous vehicles present a danger to pedestrian traffic. Recently, a woman was fatally injured when an autonomous vehicle struck her as she was crossing a street in the Phoenix metropolitan area. This is believed to be the first fatality involving an autonomous vehicle, but it does present a number of issues, not the least of which is who is liable. While the autonomous vehicle in this accident was in the testing stage, with an emergency Uber employee behind the wheel, eventually, the testing will end, and autonomous vehicles will be a regular presence on our roads, both as part of a rideshare and in private use. A discussion of the issue of liability in autonomous rideshare vehicle accidents will follow below. While autonomous vehicle developers repeatedly tout that their vehicles will follow all traffic laws and that, as a result, they will be inherently safer than vehicles operated by humans, there are instances in which a temporary suspension of a traffic law by an operator is, actually, the safer alternative. As an example, if a vehicle is operating in a no passing zone and a child darts out into the road, it would technically be a violation of the law to cross the double yellow line. However, in this instance, assuming the vehicle’s operator had no time to stop, violating the law is actually the safer alternative, as the vehicle would avoid the child. It is not understood whether autonomous vehicles can, or even have the ability to, perform this maneuver. In reality, there are many factors that every driver operating on every road during every day must take into account. Whether autonomous vehicles can also take into account these factors remains to be seen, which is why there is still testing. Thus, at this stage, there is still a risk in autonomous vehicles. Just as drivers must shoulder the risk involved with operating a vehicle, it seems intuitive that the “operator” of an autonomous vehicle should shoulder the risk as well. However, if an autonomous vehicle is involved in an accident, there will be no driver to be held responsible. Potentially, a claim of product liability may be made, directed at the manufacturer of the vehicle itself and any operating software. Additionally, claims of negligence against the company operating these vehicles, such as Uber or Google, may also be possible. The primary issue in a claim for negligence is to determine who is at fault for the accident. Liability cannot be assigned until this is determined. With regard to autonomous vehicles, it could be the automobile manufacturer, the computer manufacturer, the software developer, or, if present, a human operator. An experienced personal injury attorney can help make this determination. Once made, the injured party must then show that any damages suffered were caused by the entity at fault. If shown, injured parties may be able to recover for medical and therapy costs, physical pain and suffering, and emotional distress. The issue of fault is the critical aspect of a personal injury lawsuit, as one cannot recover from any injury without identification of a party at fault. If you cannot identify that party, that party could escape liability. Obtaining the services of an experienced personal injury attorney can help you definitively identify the party at fault. No one should ever have to suffer from injuries where another party is at fault. If you were the victim of such an injury, contact the Miami law firm of Pita Weber Del Prado. We will use their years of experience to fight on your behalf to get you the money you deserve. Contact us for a free consultation.